Picture this: three farmers at a small Australian alpaca show, yarning about the potential for industry growth. 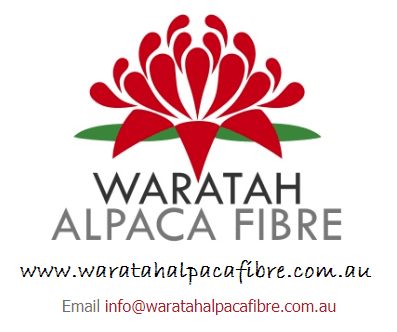 Fast forward 18 months and the Waratah Alpaca Fibre Coop is establishing export operations to China. Like other innovative ag sectors, Australia’s alpaca industry is typified by many small producers and, for the last 20 years, has been dominated by a single co-opearative. Originally set up for Australian alpaca fibre producers, that cooperative is now controlled by a large Peruvian processor who may not prioritise the needs of the Australian industry. The farmers were challenged by: how to increase the strength of the industry as a whole; how to increase the return for their produce at the farm gate; and how to access pent up demand from Asia for quality Australian alpaca fibre. They needed a mechanism to explore the opportunities. Australian alpacas are well taken care of. Australian alpaca fibre is world-class. The alpaca farmers decided to carry out some rigorous research into the industry, the market opportunities and potential structures. They approached Farming Together to provide expert support - to confirm that there was a viable market and a significant reason to collaborate. The first stage of the project involved the preparation of a comprehensive business plan which analysed the most appropriate business structure for the group. This research led to their decision to establish a new cooperative. Farming Together assisted in the development of all legal documentation to register a co-op and facilitated the group's official formation meeting. Farming Together also assisted the group to design basic online marketing tools including a logo and website to assist sales. “The whole idea of the Co-op is to give alpaca breeders some confidence and financial sustainability. Farming Together provided guidance and mentorship and gave us access to the skills and expertise so that, when it came to forming a coop, we didn’t reinvent the wheel. It took our cumbersome and clumsy idea and streamlined it, saving us a lot of time. We are now far more advanced than we could have been if we'd tried to do this on our own”, Mick Williams. The Waratah Alpaca Fibre Cooperative is proof of what can be achieved with a lot of energy, innovation and persistence. After its official formation meeting, the co-op has received expressions of interest from 50 separate breeders to join. Membership is open to all breeders regardless of size and scale, and members will receive a sales premium when they sell through the coop. In the interests of industry growth and collaboration, non-members are also welcome to sell their fibre though the coop. The Waratah Alpaca Fibre Cooperative will base its membership on NSW growers to maximise supply and freight logistics opportunities, with the potential for other states to establish their own coops in the future. "Farming Together has helped the Australian alpaca industry finally come of age and commercialise. We are on the brink of establishing a significant fibre industry and the Chinese market is going to be a very exciting part of our future. Without Farming Together we would not have evolved into an industry that has the potential for multi-million dollar growth”, Steve O’Keefe. The group is celebrating its first 700kg shipment of raw alpaca fibre to China, achieving a price well above typical market returns. This is so ground-breaking that a new export code for the fibre had to be created to allow the activity to be carried out. 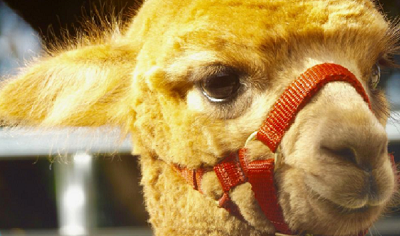 It is estimated that the Chinese market has unmet demand of 3000 tonne per annum and the Australian alpaca industry only produces around 800 tonne each year, so there is plenty of room for growth. The Cooperative has already received further interest and enquiry from China with a request to supply ten tonnes of raw alpaca fibre per month. 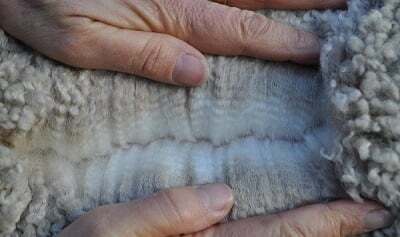 The Waratah Alpaca Fibre Cooperative believes that its role is not only about maximising returns to the breeder, but also to increase the quality of supply, through workshops and education. This key role of a co-op is one aspect of the business model which makes it different to a company. Other small growers from other commodity sectors will be watching closely as the Cooperative commences the export market journey.